First of all, Christ is Risen! He is Risen Indeed! Alleluia! A blessed Easter season to everyone! As is my tradition, every year I give up shaving for Lent. My Lenten beard is both legendary as well as epic (LOL). I also usually try to do a collection of beards as I shave the beard off, taking some photos as I go as a joke. My setup was in the garage. I had my ratty grey backdrop and 3 speed lights to do these photos. The background light was a LumoPro 180 gelled with 2 cuts of various colours. The kicker light was my SB-900 (which has a broken locking mechanism -BOO!) also gelled. And the key was another LumoPro 180 gelled 1/2 CTO in a gridded softbox. Everything was triggered with one Phottix Ares trigger, the other two flashes on slave mode. This shot was just the softbox alone. Very moody light with deep shadows. The grid helps focus the light in one area. This next shot (which will be my avatar for 2018) is using the three light setup. 2 cuts of drama blue on the background. 2 cuts of CTO for the kicker. 1/2 CTO in the softbox. I held a reflector out front for some fill & sunglass highlights. The final shot was basically the same, I simply changed the gels and moved the background light in closer to the background for quicker fall off. It’s a really simple and effective way to do a headshot. The real special sauce though was using the XPRO2 and the 50mm WR lens – basically a 76mm equivalent. It’s an excellent length for headshots and very versatile. The best part though was being able to control the camera from my cellphone app. That’s awesome. I could focus the camera and take the photo super easy. Makes such tasks really fast. And, because you can see the image as you are making it, it means very little editing. Like maybe a vignette. Thats it. It’s soooo efficient. Love Fuji! As the weather (hopefully) will be warming up soon, I’ll have more frequent blog posts. Have a wonderful Easter season and see you soon! 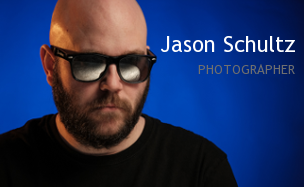 This entry was posted on April 4, 2018 by schultzphotographic. It was filed under Off Camera Flash, Uncategorized and was tagged with 3 Light Setup, Beards, Easter, Gels, Lent, Lent Beards, LumoPro 180, Off Camera Flash, Pascha, SB-900.